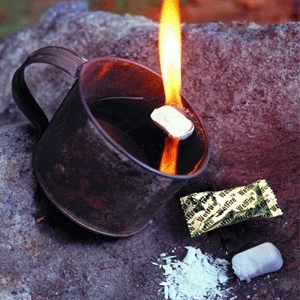 WetFire Tinder is a very popular water-proof fire-starting tinder made by Ultimate Survival Technologies. The great benefit of it is that it easily lights with a spark from flint/steel or a ferrocerium rod (or flame for that matter) and is virtually weather proof. 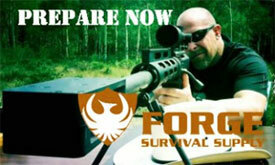 If your life depends on making a fire in severe weather, than WetFire is a must have. The only problem is that it’s expensive (around $14 for 8 cubes). So why pay all that money when you can make your own? My homemade version may not be the exact “Trade Secret” that UST claims to have but I find it’s just as waterproof, it easily takes a spark and flame, and it burns in the wind and rain. Well, it’s really no secret at all, in fact it’s just cotton balls and Vaseline that dipped in melted paraffin wax (candles work too). Most of you have probably heard of cotton balls and Vaseline as an effective tinder and I have to agree, cotton balls mixed with Vaseline do make great tinder. The only issue is, if it got dropped in water or soaked from the rain, it will not light. This method will. Step 1: Combine cotton balls and Vaseline. This step is the same process you would do if you were making standard cotton-ball/Vaseline tinder. Just take a glob of Vaseline and knead it into the cotton ball. Step 2: Melt the wax on the stove. You can use old candles or paraffin wax. 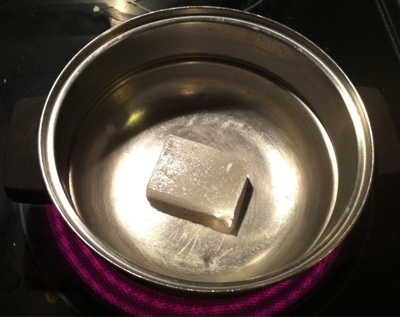 Be sure to keep the stove top temperature at low since the wax can ignite at high temperatures. 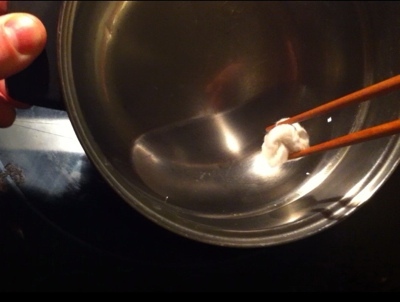 Step 3: Dip the cotton balls in the melted wax. 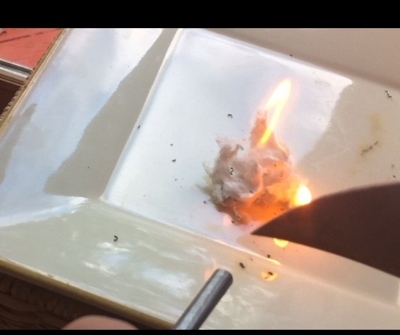 Be sure that the cotton ball is completely submerged in the melted wax. This will ensure that it is completely waterproof. 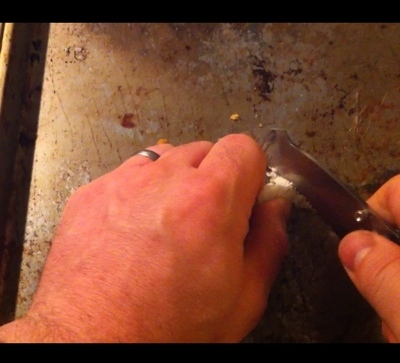 For this step I find it easiest to use chop sticks. 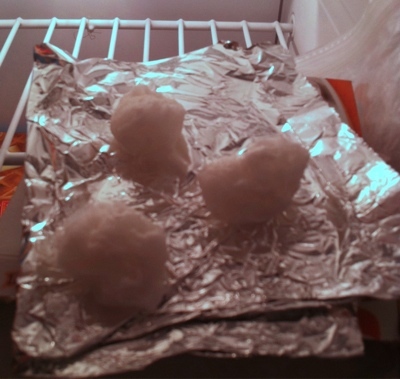 Step 3: Place on tin foil and put in freezer. Although this step isn’t necessary, I like to place it immediately in the freezer since it cools very quickly. The foil just keeps it from sticking when it hardens. 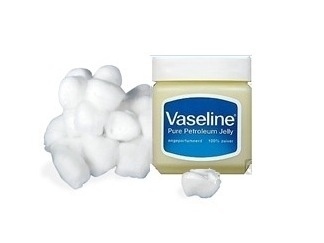 *Note: You may be thinking,”why should I bother with the Vaseline, can’t I just dip dry cotton balls in the wax?” The purpose of the Vaseline is to prevent the wax from being completely soaked up by the cotton. If you skip the first step, the cotton will get completely saturated by the wax such that when it dries you’ll never be able to fluff it up to the needed amount to allow it to catch a spark and burst into flame. Step 1: Cut/Break the tinder in half. 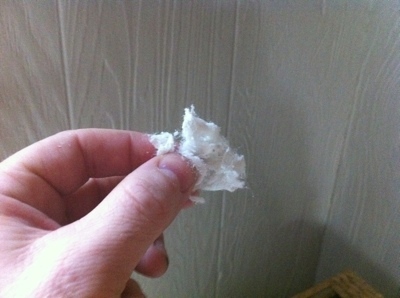 By breaking the tinder in half, you expose the Vaseline mixed cotton inside. Step 2: Fluff up the tinder. Break up the tinder in your hands and repeatedly pull the tinder apart, trying to create a fluffy mass. The more”fluffy” it is, the easier it will take a spark or flame. Step 3: Light the tinder. Using flint/steel or some other spark creating tool (of course a lighter or match would be fine as well), light the tinder bundle. I love this site. You have one of the best sites out there. Keep it up. Thank you so much Kandi. I really enjoy sharing my knowledge and learning a ton along the way! I was already planning to go out “yard saleing” for peoples’ old used pots to experiemient with stuff nobody usually uses pots for . . . this is one more fun task on my list! Great thinking. I made these and one cotton ball done this way will burn approximately 5 minutes. 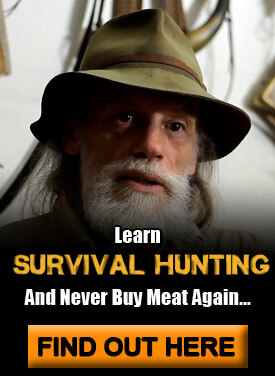 Great for the survivalist going to the bush or avid hunter. 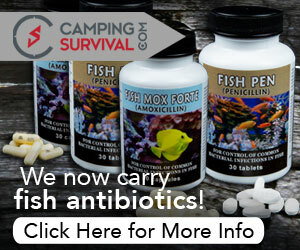 I made a ton of these and gave em to my family for starting campfires. It very possibly could have been this that they used. It can stay as an ember like you described for a good while. Also, I grabbed the first vid from YT that popped up..
Hope this keeps you dry mate. I just bought a bunch of tinder-quik tabs and wondered how to make my own. Should have known I’d find something here! Thanks for sharing.